Sadolin Superdec Gloss is a water-borne, self priming and undercoating wood protection that gives your woodwork a glossy, professional finish. It is ideal for windows, doors, conservatories and cladding. Sadolin Superdec Gloss is a water-borne, self-priming and undercoating wood protection that gives your woodwork a glossy, professional finish. It is ideal for windows, doors, conservatories and cladding. Eroding naturally by weathering, this opaque wood protection remains flexible and resists cracking, peeling and flaking making sure you will have the perfect finish to your wood for as long as possible. Because of its exceptional durability this gloss can give you up to 8 years protection, saving you time from having to keep painting and protecting your wood year after year. 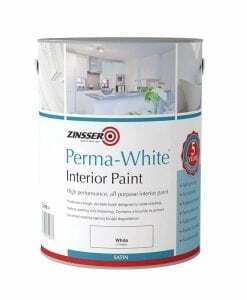 This paint and wood protection is perfect for new and previously painted surfaces. It is ideal if you would like a complete change of colour or if you just want to improve a surface that has become weathered and uneven in appearance. 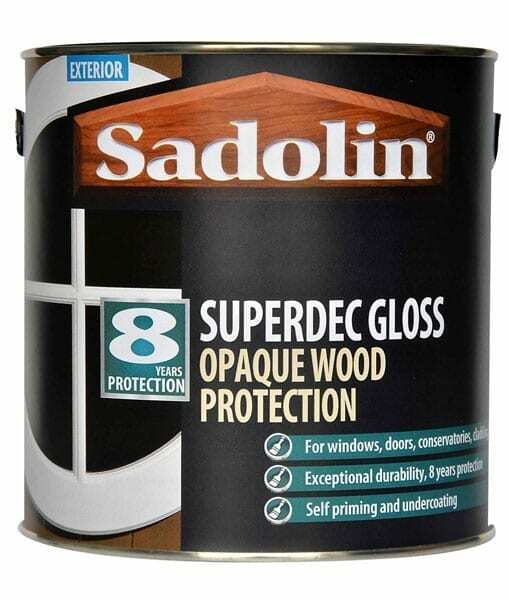 Quick drying (touch dry in only 2-4 hours), easy to apply with a brush, roller or spray and available in many different colours Sadolin Superdec Gloss wood protection will keep your woodwork looking better for longer. Make sure everything you do not want to be painted is covered. Make sure the surface is clean and dry. Stir Sadolin Superdec Gloss well before use. 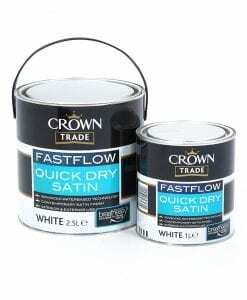 Apply in a full flowing coat, ensuring all surfaces and end grains are fully coated. For best results, apply 2 coats. For best results use a good quality brush specifically designed for use for the application of waterborne products. We do not recommend using this on the decking. Exceptional durability, up to 8 years protection. 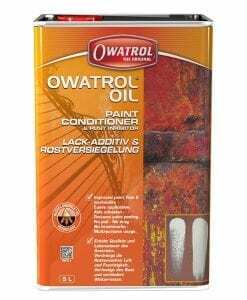 This is the most amazing paint for all outdoor woodwork. So easy to apply, no undercoat needed. It will last for years and when you do decide to refresh, there is no rubbing down of old blistered and flaking paint. Just apply a new coat and all your woodwork will look like new again. The paint has no smell and brushes can be washed in water, perfect!